A cache of uncensored letters written by a prominent First World War officer, Major Charles Ward-Jackson, is estimated at £2000-3000 at Cirencester auction house Moore Allen & Innocent on November 24. 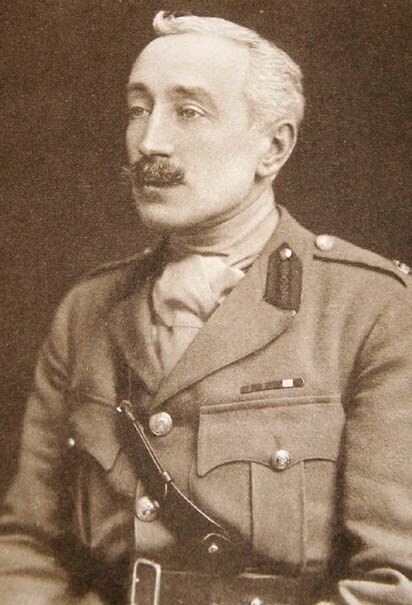 Major Charles Ward-Jackson (1869-1930) was posted with the Yorkshire Hussars to the Western Front in April 1915. His letters were penned every day for three years to his wife ‘Queenie’, and were only censored a handful of times. They contain insights into his own duties, the personalities of other senior officers and frank commentary on the progress of the war. The archive, which will be offered on November 24, was typed up and collated after Ward-Jackson’s death in 1930. Another copy resides in the Imperial War Museum in London. Ward-Jackson spent most of the war in a French château commandeered by the British Army. According to his letters, he undertook a variety of duties such as “transmitting messages from the front” and “altering maps”. A more glamorous task involved arranging a lunch for King George V.
He wrote, “…all the arrangements were satisfactory and worked without a hitch. I believe the lunch was awful. The King never spoke a word and the Prince of Wales did not utter”. Ward-Jackson’s military service ended with the Armistice on November 11, 1918. He went on to become MP of Leominster soon after, losing his re-election to the Independent candidate and future leader of the British Union of Fascists, Oswald Mosley, in 1924.